Tomato, avocado, lime and basil. Simple but delicious! A creamy exotic young coconut meat soup spiced with refreshing traditional thai herbs combination of lemongrass, galangal, chilli, kefir lime leave, and lime. Sprinkled with avocado, dehydrated shiitake mushroom, and cilantro. Delicious flavors of Thai fresh mango, coconut water with chunks ofenzyme rich pineapple, papaya, and Banana. 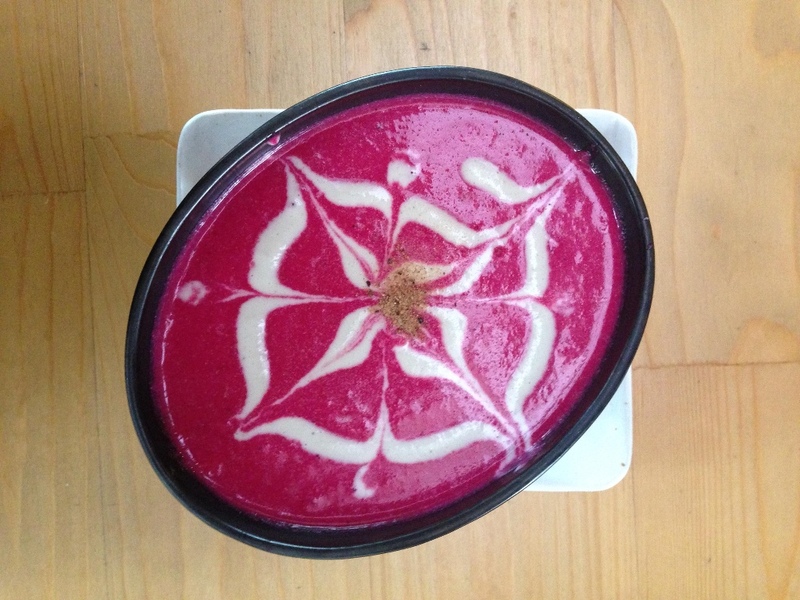 Hearty and cleansing mixture of Beetroot, avocado, almond milk, olive oil, garlic and drizzle of homemade live macadamia cream.